The combined sleeping and dining area on Duet incorporates seating and four berths with most of the remaining berths forward of the galley. Due to Duet's size, most of the bunks are 'cosy' in nature. Duet can accommodate groups of up to 7. The compact galley is fully equipped with necessary utensils, a small gas oven and hob, a small fridge and a sink. It should be noted that Duet was built in 1912 and so is not equipped with many of today's creature comforts. It's part of her charm. There is one toilet and wash area. Hot water is only available if the kettle is boiled! 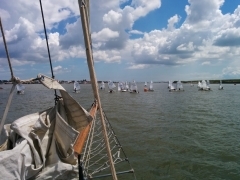 The sailing staff includes a Skipper and Mate. As well as being trained and qualified to meet or exceed current regulations, all crew are checked by the Disclosure and Barring Service. 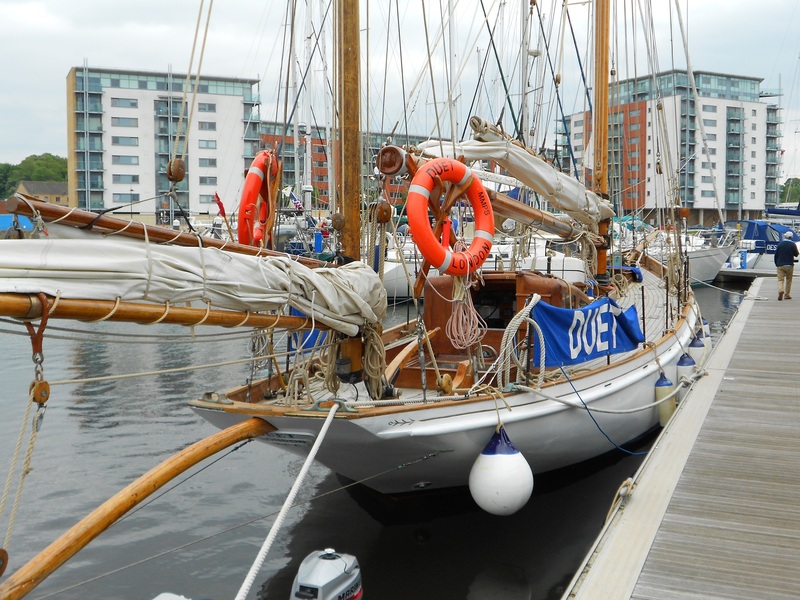 Duet operates a flexible sailing area depending on the demand for her service. 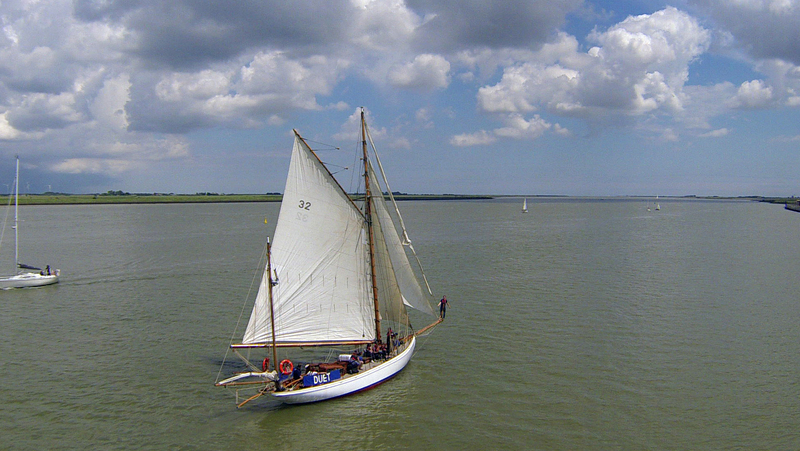 She may sail from Ipswich in Suffolk or head up the coast towards Scotland or south to Portsmouth. From here she can either explore the South Coast or sail across the Channel. 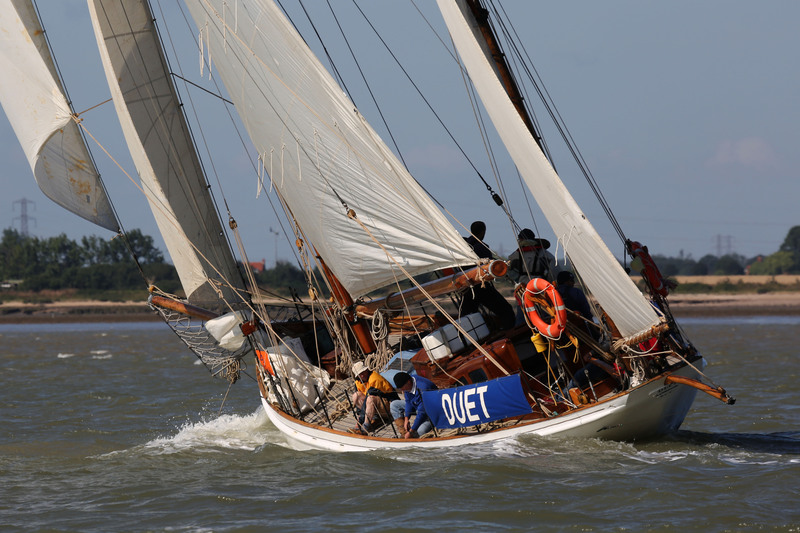 Duet is a keen competitor in the annual Tall Ships' Race and has been both class and overall winner. Voyages can be booked by contacting the office who will be able to guide you through the process and tailor your voyage to your requirements and objectives. The office can provide you help and advice on available funding. We try to create an atmosphere where people feel at home on board. For many, the experience of being with others is as important as the activity itself. There have to be rules and boundaries - the reasons for them are explained and in return we ask for a responsible attitude. Voices should not be raised except where safety is at stake. We ask leaders to help in their preparation of the group to stress that listening is essential for safety in a strange environment. 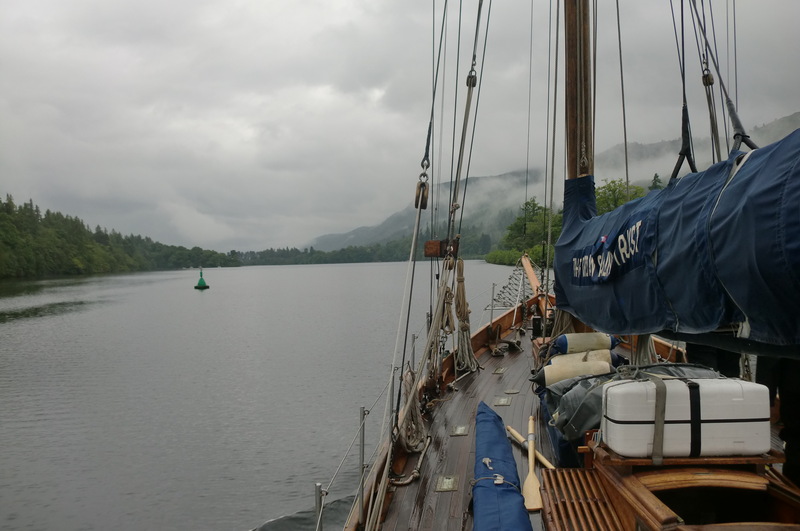 Life on board a vessel is very different from routine life on dry land. The pace of life varies from extreme activity and involvement to periods of quiet watch keeping. Accepting this variety can take time. Keeping groups occupied is important to make the most of the trip. There are a variety of roles available on board to occupy groups and individuals. With a flexible outlook on what might happen, the experience will be one to enjoy and remember. 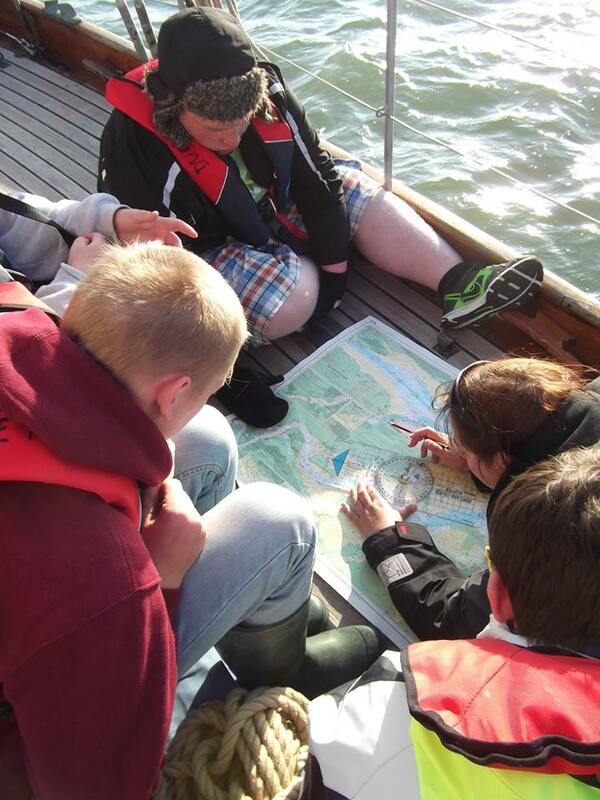 If a member of your group is given a task by the crew, they must do it - it may be of vital importance! An explanation will be given if possible, but for safety reasons there may not be time for talk first. Always complete the tasks as instructed and ask questions afterwards. Compared to working with a group ashore, the commitment is much greater, more demanding and more tiring but it is worth it. You are there 24 hours a day, everyday. This is why the right ratio of leaders to suit the demands of the group is essential. Leaders need to be ready to accompany and work with their team whenever they are on deck, ashore or engaged in activities below. 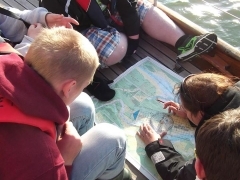 You should have group activities prepared for the evenings, in case of bad weather and for going ashore. For example; treasure hunts, competitions etc. Swimming from the vessel may be possible at certain times of the year under the strict control and permission of the Skipper, who must be satisfied with the sea conditions and life saving resources available. We recommend that the Group Leader should have written consent from a parent or guardian for each young person intending to swim, together with assurance that they are competent in deep water. Swimming from the shore is the responsibility of the Group Leader. 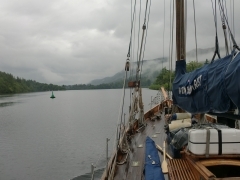 However, the onus is on the Skipper to advise of any known dangers. With a large group of people living in the confines of a boat, domestic chores are essential to maintain a pleasant and healthy environment. Time must be taken each day to clean the boat to maintain standards. Cleaning should take the form of a rota to include cleaning the toilets and wash basins, floors, galley and fridge, as well as swabbing the decks. At the end of the trip a full clean up is carried out by the group under the direction of the Cirdan sea staff and with the cooperation of the group leaders to ensure the vessel is left in the condition you would wish to find it. This is done most successfully when approached positively and as a challenge. In our experience, it is important to structure a voyage to include time together on board, around the table, perhaps after supper in a port of call. 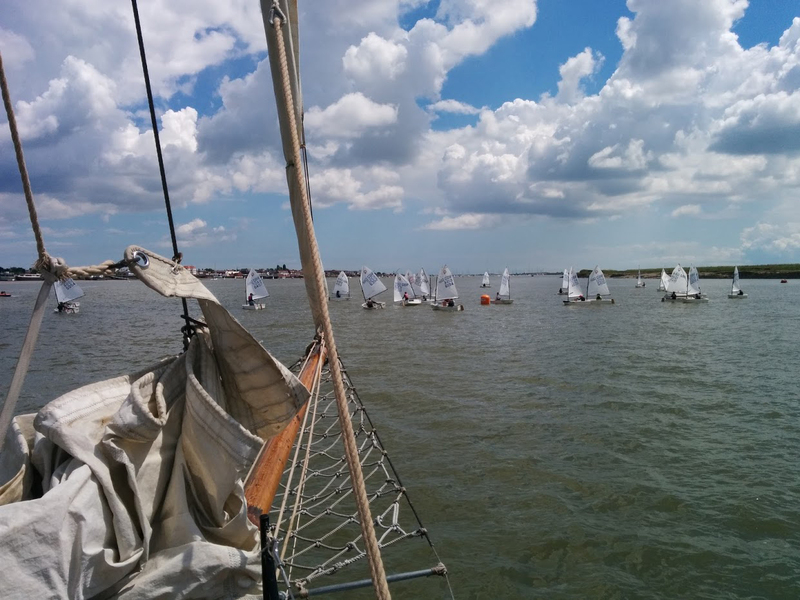 This does not have to involve anything to do with sailing the boat directly. For many of the young people, spending time enjoying the company of others (especially mixed ages and gender) is a new experience and can be an essential part of their development. Evenings spent singing and playing parlour games can be fun. If you or the young people play musical instruments, suitable to be brought on board, please bring them. Form your own band and practise for a last night concert - work to your own standards! Talent shows can put together or fashion shows staged showing outfits made from items on board eg bin liners and newspapers. Time ashore is also important for young people but, from a safety point of view, it is important that no one returns to the vessel on their own. They could fall over board without anyone's knowledge. The vessel may lie alongside a quay or be anchored in sheltered water overnight. This may mean a trip ashore using the tender (this can be fun, but a responsible attitude to safety is necessary in the smaller boat). Sometimes it is necessary to sail at night. 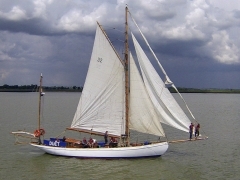 Once on board, the group become active members of the crew. The crew are divided into teams called watches. The watch system is designed to allow the activities on board to continue right throughout the day and night (if this is part of the sailing plan) in a way that is fair to everyone. 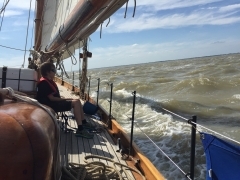 The Skipper will decide exactly how the watches are organised, taking into account weather conditions, the destination and the needs of the group on board. The group leader's co-operation may be needed to encourage successful operation of the watch system. 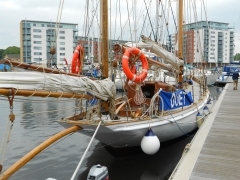 You may berth overnight in a marina where you will be able to make use of the toilet and shower facilities. A responsible leader must accompany the young people when using the facilities if there is any chance they will misuse them. Damage to the marina facilities may be changed to the group. It is important to respect the property and privacy of the berth holders and use the facilities appropriately. Marina facilities are a privilege and misuse of them may jeopardise the Trust's welcome. 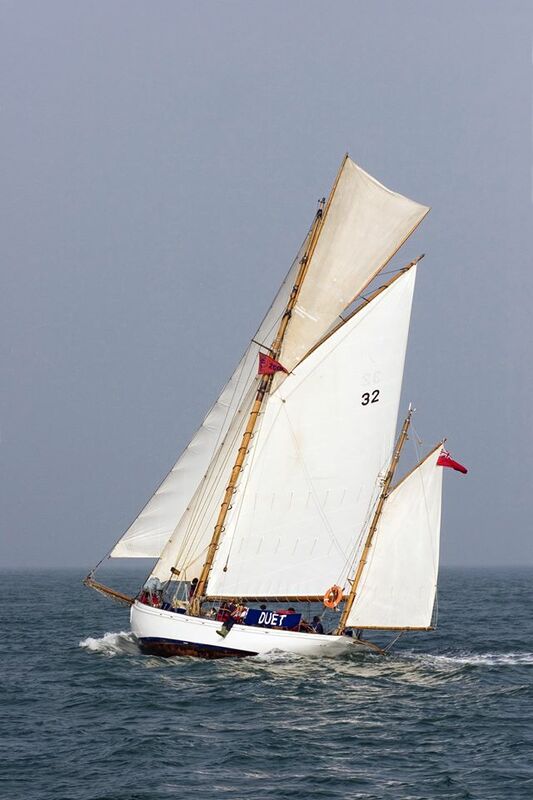 Duet is a fine example of a gaff-rigged yawl retaining the features of an Edwardian classic yacht. 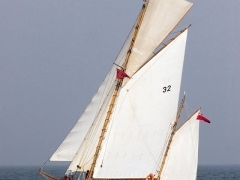 She is 21.95 metres long (including spars) and has a beam of 3.38 metres. 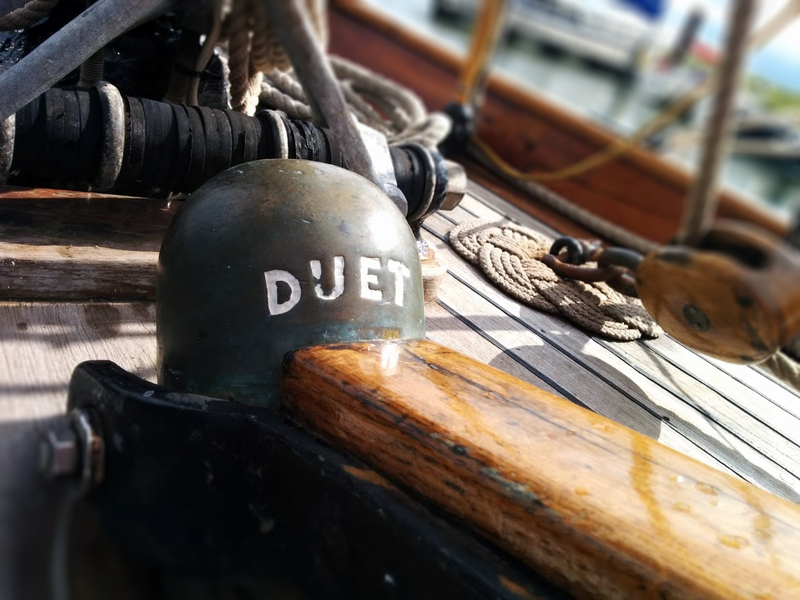 Duet is built of wood with beautiful teak decks and has most of her original high quality fittings including the original rig. One noticeable change however, is the addition of a deckhouse over the aft cabin removed from 'Bloodhound' (Prince Philip's yacht) during modifications in the sixties. 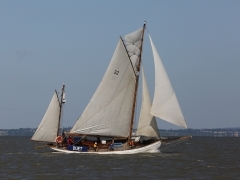 Designed by Linton Hope and built at White's yard on the River Itchen in Hampshire, Duet was launched in 1912 as 'Gaviotta'. In the early 1930s she was bought by Augustine Courtauld, a famous explorer, who renamed her 'Duet'. When he died in 1959, ownership passed to his son, the Reverend Christopher Courtauld who, with Mr Christopher Ellis, formed the Ocean Youth Club in 1960. 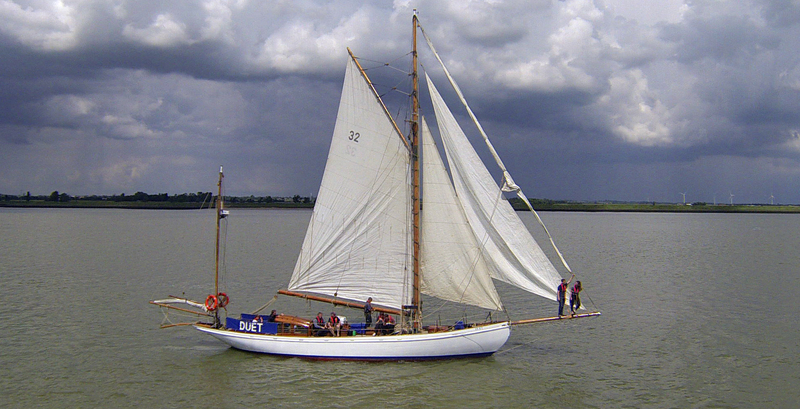 The Club used Duet for youth sail training from then until 1994. 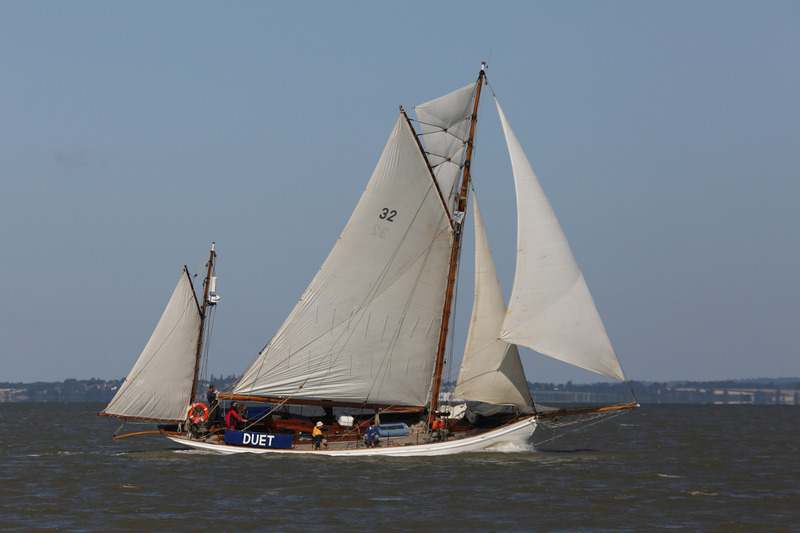 Christopher has now passed on ownership of Duet to younger members of the Courtauld Family on the understanding she is still operated for the purpose of sail training. In 2012, Duet celebrated her centenary year by sailing around the UK. 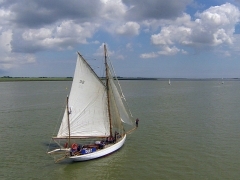 The 'Voyage to Success', which received the Inspire Mark in recognition of its links to the 2012 London Olympics, was sailed in 11 legs, each with a different group of young people on board.